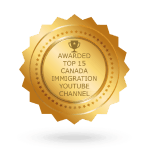 Applying for immigration to Canada can be lengthy process, but it really depends on what type of application you are making, and where that application is going to be processed. For those who wish to apply for permanent residence, for example through the family sponsorship or skilled worker categories, processing times of at least one year from the time the application is filed should be expected. This is especially so if the application will be processed at a visa office at a Canadian embassy or consulate outside of Canada. Visa offices often become backlogged resulting in lengthy processing times for more complex applications. In contrast, those applying for temporary visas such as visitor visas, study permits, or work permits can expect relatively short processing times of a few weeks to three or four months for a routine application. In-Canada applications for permanent resident card renewals can usually be completed in three to six months, but complex cases such as applications to renew the card on humanitarian grounds can become delayed for months and take more than a year to process. Similarly, citizenship applications may proceed fairly quickly if they are routine but complicated cases may become delayed for extended periods. 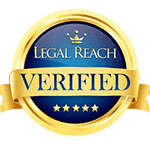 Appeal matters depend on the type of appeal and the court that is being appealed to. Appeals to the Federal Court can usually be completed in about six months to one year, while appeals to the Immigration Appeal Division may be done quickly within a few months but can sometimes take more than two years to complete. Before you begin an immigration application you can check the expected processing time either by asking your representative, or by checking the website of the relevant immigration office. It should be noted however that processing times fluctuate depending on various factors including the workload of the particular immigration office and their current processing priorities, the complexity and completeness of the application submitted, and the timeliness of responses to requests for more information. As a result of these factors, it is rarely possible to predict exactly how long an application will take to process. 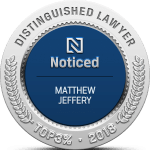 Do I need a lawyer to immigrate to Canada?